Lead Liaison’s social media solution helps businesses easily participate in social media. All major social networks are supported including Twitter, Facebook and LinkedIn. A unique buffer capability makes it easy to add social messages to a queue and have them delivered automatically according to a pre-defined schedule. Easily participate in social media. 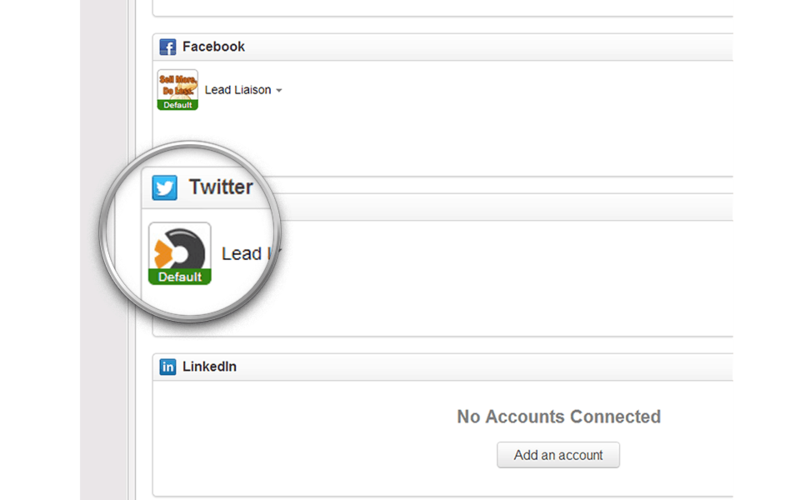 Add credentials for various social media accounts in Lead Liaison and post on behalf of your team. Marketing teams have traditionally asked their employees to post a message on their social networks when important announcements need to be made. Now, marketers can automate that process. Create messages before hand and schedule them for a future date, add it to our Buffer to queue up the messages or post the message in real-time. 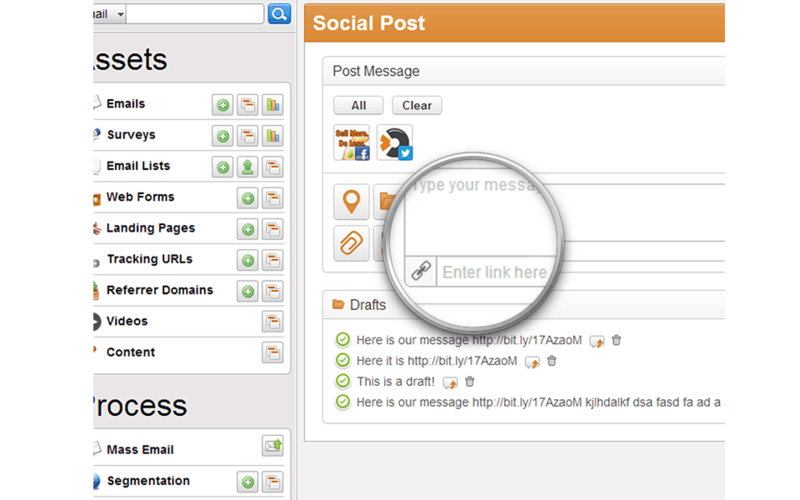 As Prospect’s engage with your social post Lead Liaison tracks their activity. Add any number of social media accounts across LinkedIn, Facebook and Twitter. Selectively enable/disable accounts on each post or message added to your Buffer. Choose default accounts to post to that always appear when creating new social posts. Add social messages to a queue, called the Buffer, which stores messages and sends them out on a schedule that you provide. Choose one of our pre-defined best practices schedules or create your own custom schedule. When your Buffer is low, we’ll send you a notification reminding you to fill up your Buffer. 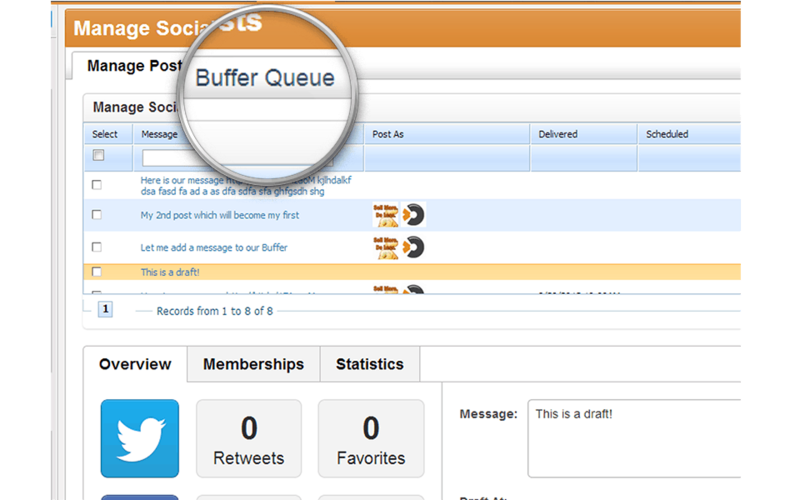 With the Buffer, it’s easy to spend a few hours loading up social messages that will get posted during the week. No need to sit in front of your computer and send out posts in real-time. Automate it! Better understand the effectiveness of your social posts. Lead Liaison helps you identify how many Retweets/Favorites your tweets receive and how many Likes and Comments your Facebook posts receive. 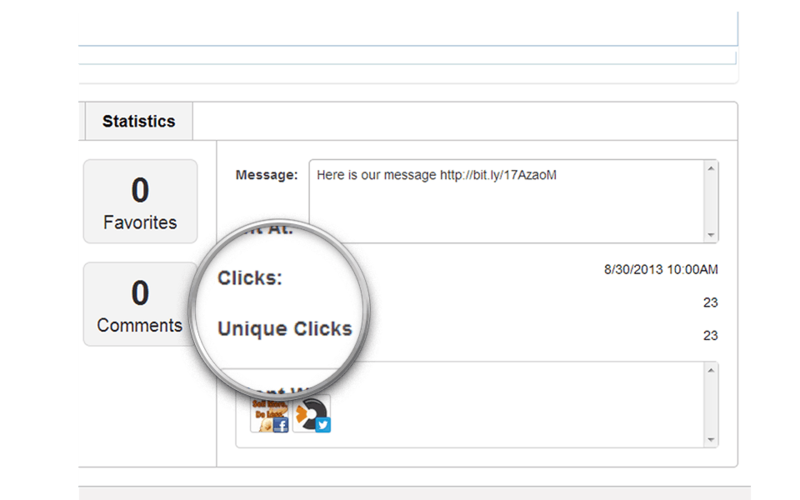 When a Prospect clicks a link in a social post we’ll track that activity, display clicks and unique clicks and log a social post click activity on the Prospect’s Profile, providing even more intelligence to sales.